Dr. Mae C. Jemison broke more than the sound barrier in 1992 when she climbed aboard the space shuttle Endeavour and became the first woman of color to travel into space. She was also NASA’s first Science Mission Specialist performing experiments in material science, life science and human adaptation to weightlessness. 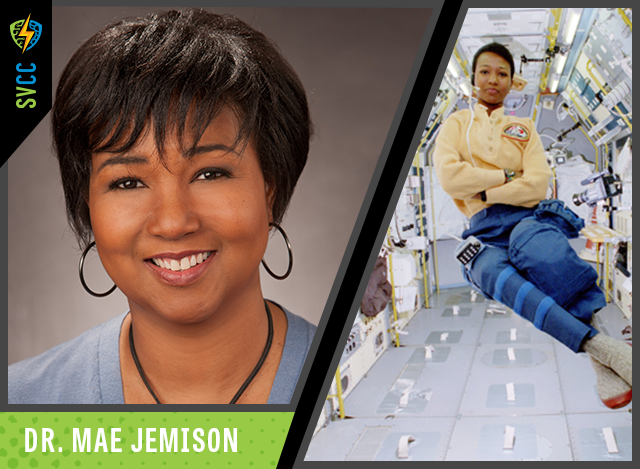 Dr. Jemison will attend SVCC on Saturday, where she will give a keynote and sign autographs. Click here to purchase an autograph.